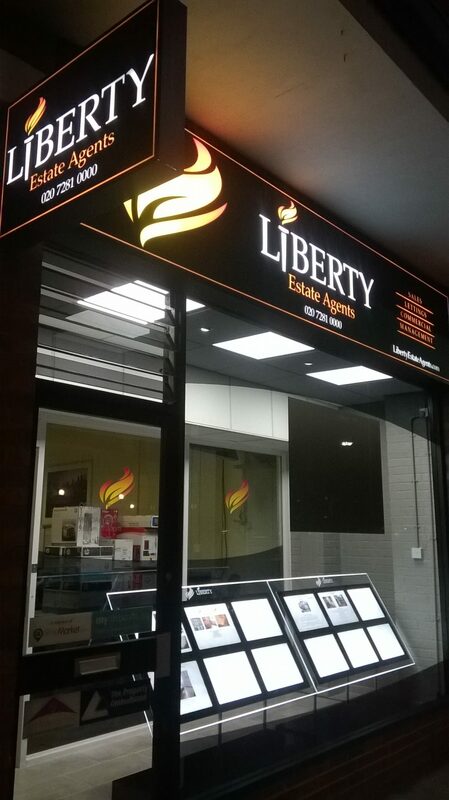 A continuous illuminated led outline around the edge of a six metre wide by one point two metre high aluminium folded sign fascia was solved with our revolutionary hidden fabricated led channel which also housed the leds. The channel was strong enough to hold the frame and centre panel of the sign together from behind whilst allowing an unobstructed led line of light around the edge of the sign. The fact that other sign manufacturers were reluctant to take on this work due to the complexity and specialist fabrication involved to support many kilogrames of sign fascia weight by a hidden led channel. The sign was fabricated and folded and then powdercoated matt black. 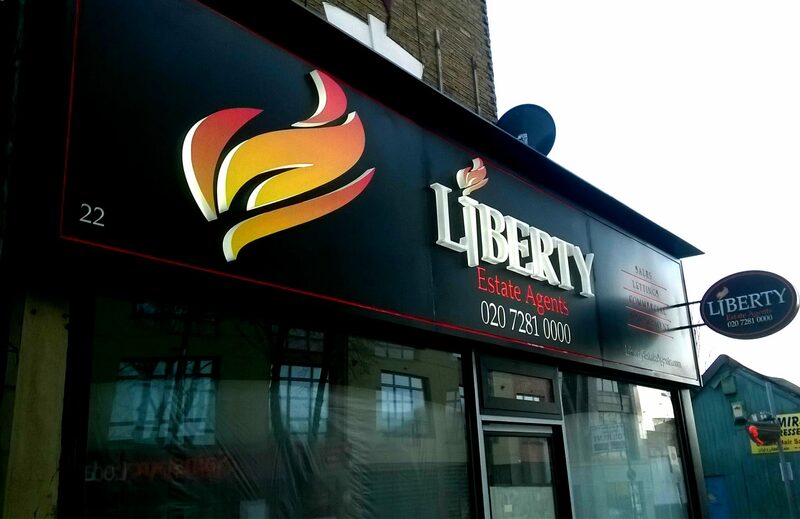 We laser cut the ‘LIBERTY’ design out of the fascia and then pushed through built up 5cm deep perspex letters made from Perspex’s specialist light emitting 1TL2 perspex designed to allow no loss of illuminosity. The LEds we use have a t least a 5 year warranty and exceed 100 cool white lumens. 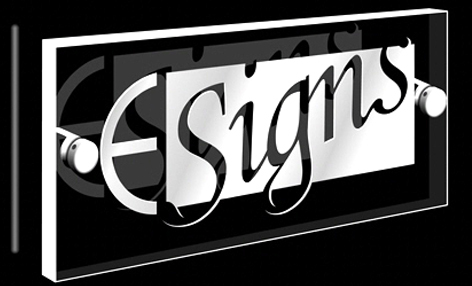 The effect is a distinctive eye catching sign which enforces a feeling of quality on behalf of our client.